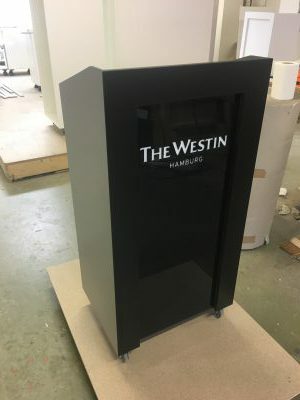 The Qbox outdoor is a fully weatherproof outdoor lectern. 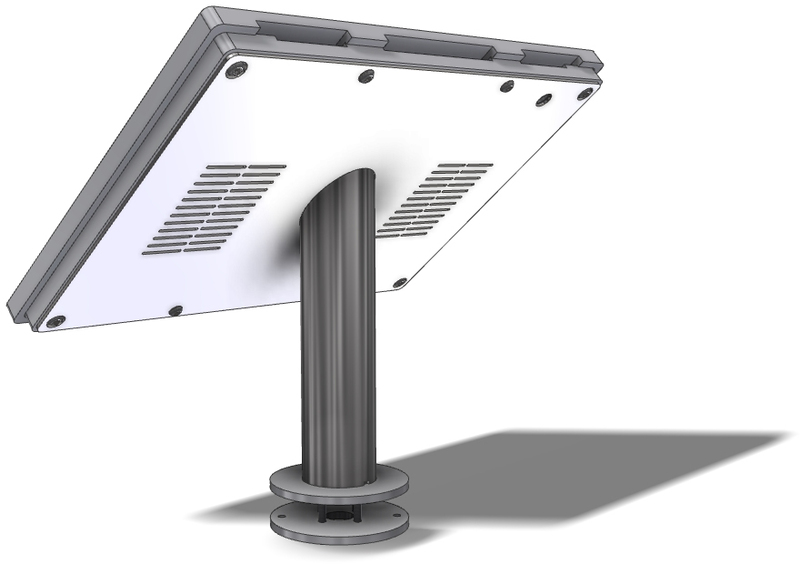 the lectern is completely rain and wind resistant and can be used both indoors and outdoors. The Speetstoelte is constructed from Trespa and fastening materials are completely resistant again. 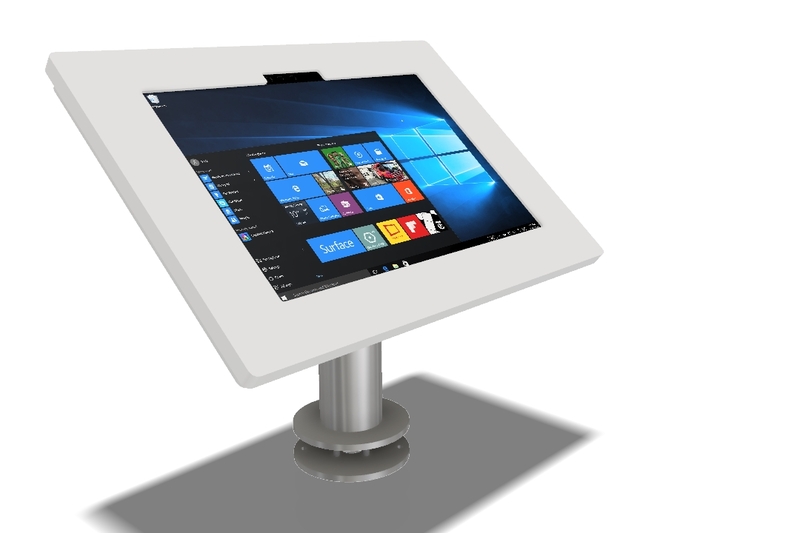 This stand has been specially developed for the Microsoft Surface Pro. The holder consists of a Solid Surface material and the frame is completely made of Stainless steel. The OnToP VPA5 is new in the AV Furniture collection of Villa ProCtrl. This High Design headphone table should not be missing in the interior of the spoiled music lover. Since we use our smart phone for Lossless and Hifi streaming, many use an external DAC with headphone amplifier. Not only on the road but also at home you want to enjoy your favorite music on your headphones. 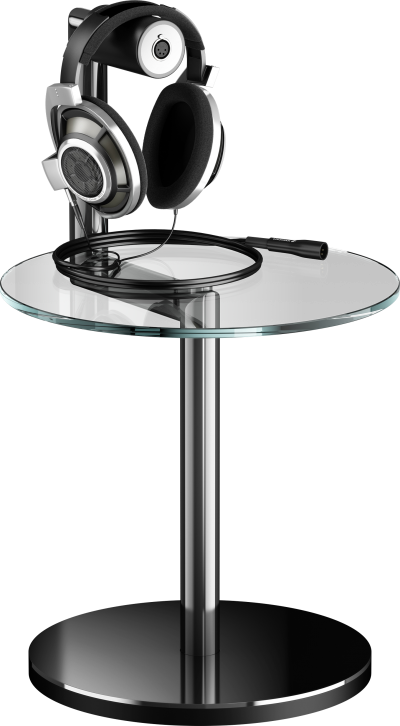 The OnTop VPA offers you all the luxury you expect from a headphone table. The beautiful wooden bracket for hanging your headphones is optionally available with a connection in 6.3 mm jack or 4 pole Balanced XLR. The internal connection cable runs from the connection in the bracket through the frame and down through the footplate. At the bottom of the footplate, the cable continues from a detachable connection. The extension cable to your DAC / headphone amplifier is custom-made for you with a type of connection plug of your choice. The OnTop VPA5 frame is made of stainless steel / chrome with a tempered glass round plate. This round glass shelf offers you the space for your smart device, portable DAC and a cup of coffee or delicious glass … .. The OnTop VPA5 headphone table is qualitatively one of the highest level as you would expect from Villa ProCtrl. The craftsmanship of Dutch soil ensures that you get a true showpiece. The first imagesDe eerste afbeeldingen voor de iTop Twist Pro series zijn gemaakt. Links op de afbeelding de nieuw iTop Twist Pro. Deze nieuwe iPad Pro standaard heeft alle goede eigenschappen van de succesvolle iTop Twist voor de iPad Air. Nieuw in de iTop Twist Pro zijn de 4 luidspreker poorten. De iTop Twist voor de iPad Air heeft er 2. Ook de camera functie op de achterkant is in de iTop Twist Pro gewoon weer beschikbaar. Ondanks het grotere formaat 12,9 inch van de iPad Pro is de standaard compact gebleven. De witte Solid surface randen van de bezel zijn iets smaller gemaakt. 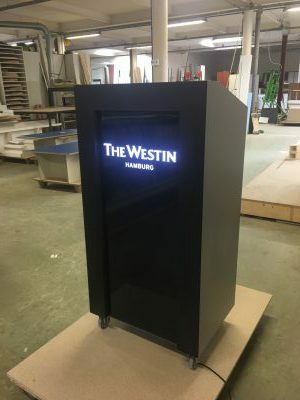 Als u al een bestaande iTop standaard heeft van Villa ProCtrl voor uw iPad 2,3,4, Air/ Air 2 kunt u deze upgraden naar iTop Twist Pro. Het frame van beide series is gelijk. 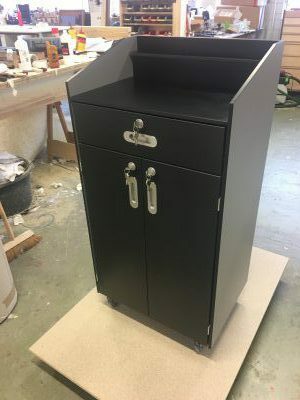 Multi media lectern made from stainless steel. In the desktop you will find a 24 inch projector screen or interactive touchscreen. Above the screen two microphones are placed in a shock mount. 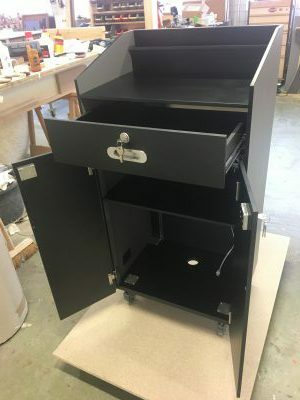 The frame of the lectern has room for a media PC. When you want to control the screen from a distance it is possible to built-in a BlackBox to operate over ethernet. You can also control through HDMI. All connections for control are at the bottom of the lectern. Two castors make the lectern mobile.